Congratulations, you have found your stairway to heaven. The Coya Shangri-La Hostel will inspire you to look deeper into your connection to the universe. We provide a bed for your body, a revelation for your mind and an inspiration for your spirit. Coya Shangri-La is known for its ayahuasca ceremonies and other plant medicine conducted in an appropriate setting with experienced authentic native shamans. From the moment you step into the Coya Shangri-la hostel you will be transported along the path of mystical ascension. As you climb the sacred mountain stairway to your accommodation and to the common room and the panoramic views from Coya´s tallest building you are greeted by transcendent symbols to inspire and challenge your thinking about who you are and what you should achieve in this lifetime. Against the backdrop of your immersion in the rainbow colours of the Incan nation and the seven chakras, the 12 signs of the round of the zodiac and core elements of your astral make-up unfold on your upward journey, to stimulate you to discover the components of your soul and your life´s purpose. 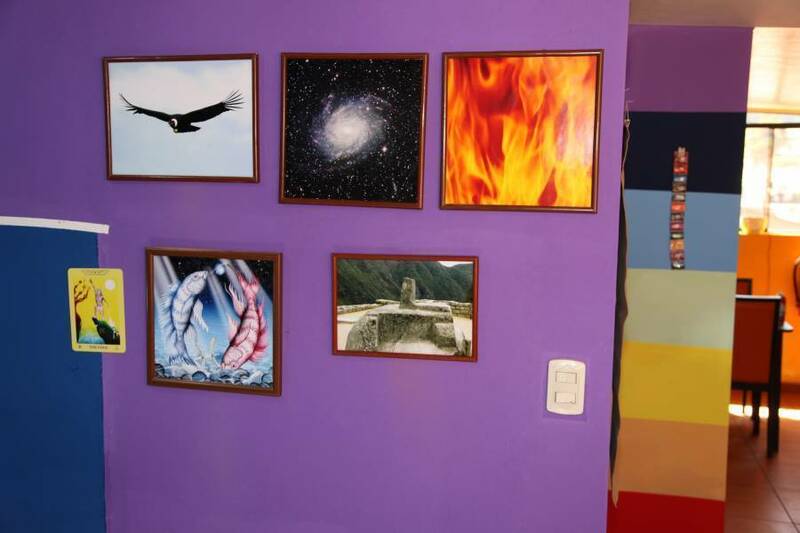 Images of the infinitely small to the infinitely large also mark the stages along with the four elements, Earth, Water, Air and Fire and representations of the animals of the Peruvian shaman´s three worlds, the snake, the puma, the hummingbird and the condor. We have regular sessions of sound therapy available, called a "Sound Bath". We are currently establishing yoga sessions, massage and meditation by experienced instructors. 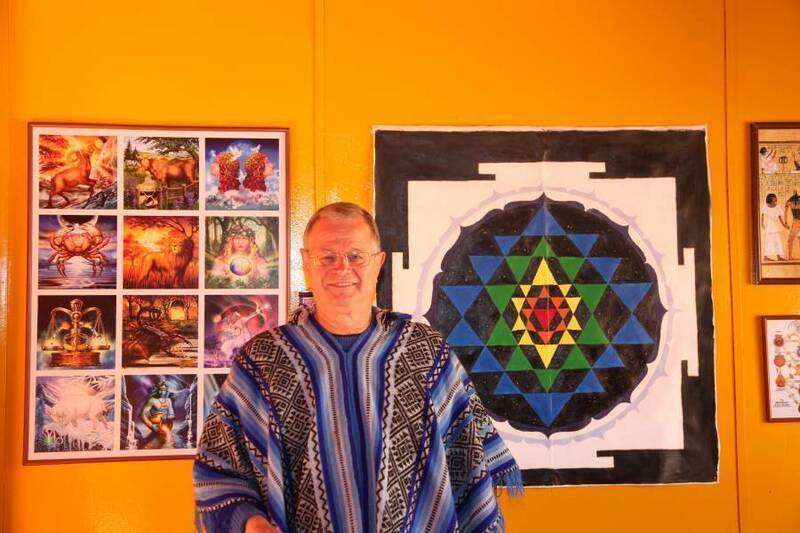 Classes are available in various spiritual studies and techniques by Keith Magnay, hostel owner, who is a certified instructor in the spiritual arts that include theta healing, soul retrieval, the Kaballa and other studies and healing methods. Tours are arranged to view ruins of the Sacred Valley as well as Machu Picchu and other locations. Horseback tours are available and can be arranged here for treks of the valley and in the mountains surrounding the Sacred Valley. 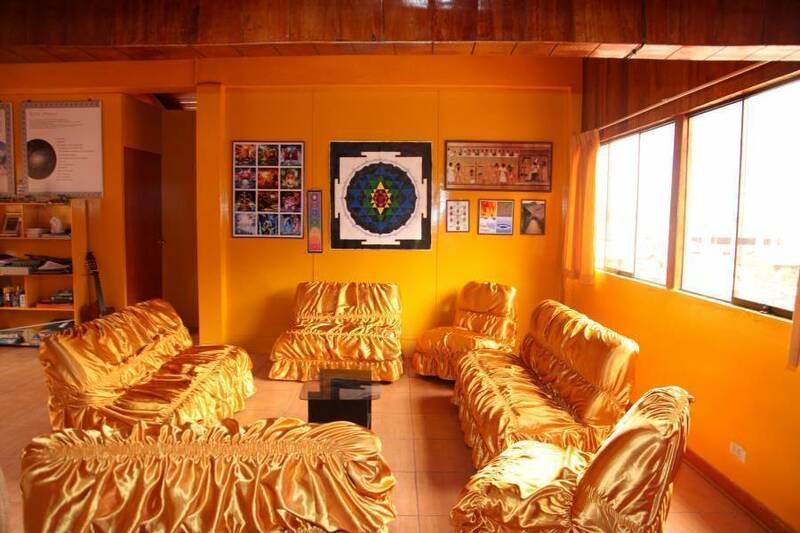 The Hostel Coya Shangri La offers the chance to commune with like-minded individuals on a path of learning each individual´s place in the universe. 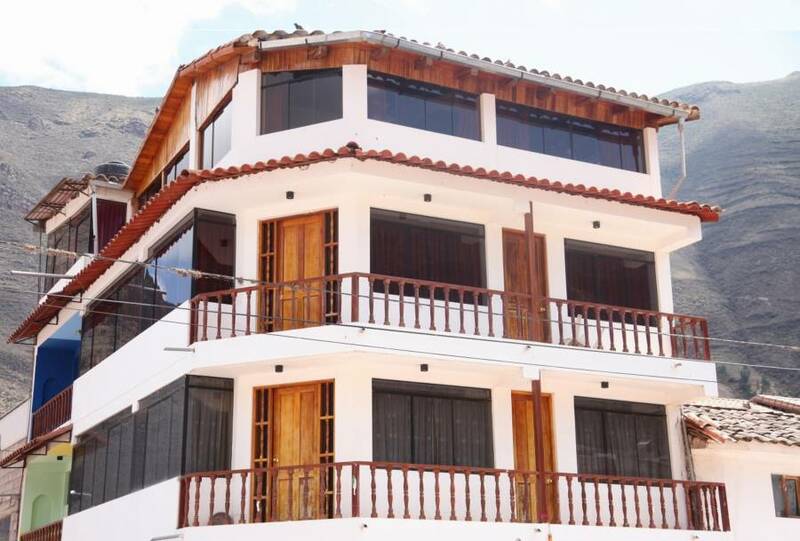 In addition, we offer a unique combination of mountain views, adventure tours, proximity to Pisac markets and restaurants as well as inspiration and instruction in the spiritual arts, esoteric classes and activities. As the home of the Sacred Valley School of the Mystical and Healing Arts and the sister property of the splendid adjoining Coya Guesthouse, the Coya Shangri-La Hostel is designed for travellers seeking a spiritual environment, guidance and budget accommodation. 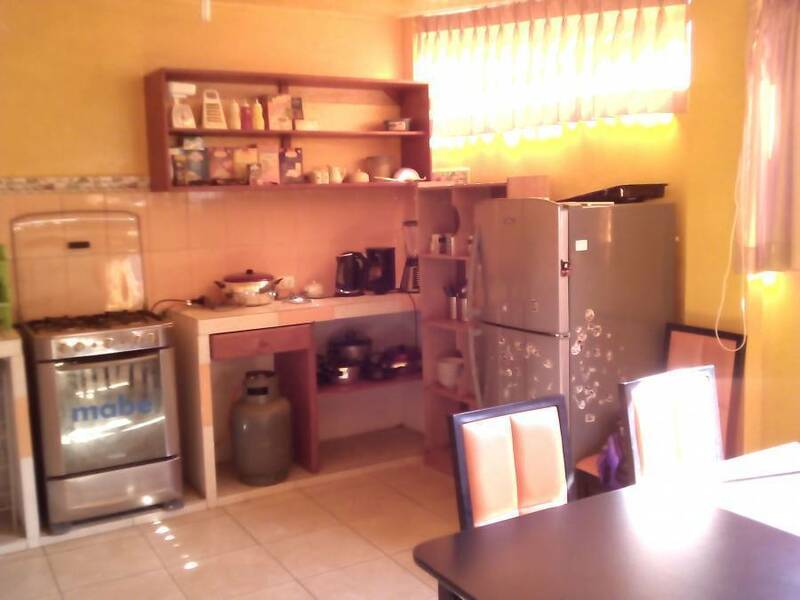 It has 21 beds in four dormitories and two bedrooms, a spiritual colourful ambience, hot showers, free Wi-Fi, thick mattresses, alpaca blankets, kitchen facilities, continental breakfast and stunning views. The common room and kitchen are on the 4th and top floor of the building. All are welcome to use the kitchen facilities. There are 5 bathrooms available, each with one shower. Our rooms have thick mattresses, alpaca blankets, at least 2 double electric outlets in each room and free wifi. Private rooms have balconies with mountain views. 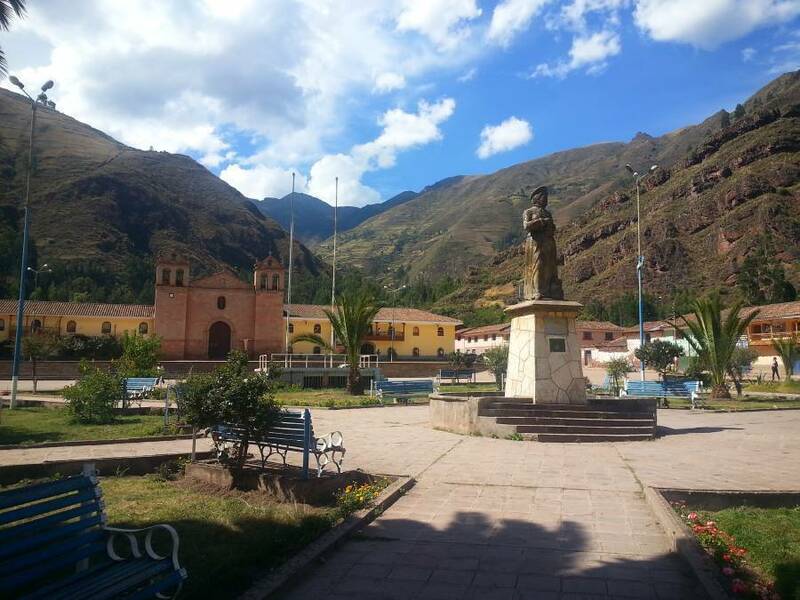 Coya is a small town outside of Pisac in a picturesque portion of the Sacred Valley. Beginning at the main intersection and bus stop, colorful statues line the crossing street that leads to a bridge crossing the Rio Vilcanota. Restaurants (including vegetarian), craft markets and many interesting shops are in Pisac, only 10 minutes away by transport for the cost of 1 sol (30 cents US). Look for van transport, usually white, running every 5 to 10 minutes. 24 hour cancellation policy. We ask that you cancel no later than 24 hours prior to your scheduled arrival. No-shows may be liable for the first night´s fee. Van and bus transport is available to Pisac for the price of 1 sol (30 cents US).